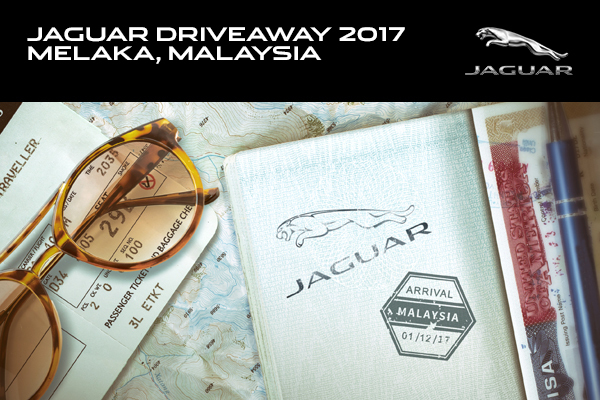 Join us for our first-ever 2D1N Jaguar Driveaway to Melaka, Malaysia. Experience the sheer refinement and dynamic performance of your Jaguar, as we take on a good mix of winding B-roads and highway driving. Get to know your fellow Jaguar owners as we explore the local sights and feast on sumptuous Malaysian delights. Participation Fee: Participation fee includes accommodation and all meals. To secure your slot, please make full payment of the participation fee at the showroom by 15 November 2017. Limited slots. Sign up now! Should you have any enquiries, please do not hesitate to contact Kate at 6378 2675 or kate.hiew@wearnes.com.